The Kingston Youth Services team provides a number of services for young people aged between 12-25 years. Please refer to "FOR YOUTH AND PARENTS" to see what’s available for young people. Kingston Youth Services offer a range of FREE personal development workshops and programs to all schools in Kingston that are best suited for students aged between 12-18yrs. Our programs are designed to complement the school curriculum whilst being responsive to community trends and students needs which the curriculum may not cover. Programs can be delivered in a variety of formats but all are designed around experiential learning and small group activities. 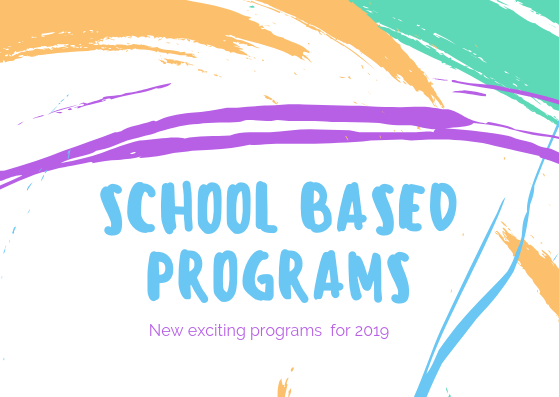 These programs can be tailored to meet the needs of your school or can be offered as pre-packaged programs. If you would like a program tailored to your school’s needs please contact Youth Services to discuss this further. Lunchtime engagement for all Year 7’s in space allocated. Lunchtime programs used or group / social activities during lunchtime. Suited to Year 7 and Year 8 students. Map Your World is a youth empowerment program that aims to create change within their communities. This program is run in partnership with Family Life’s School Focussed Youth Service. Suited to Year 9 students. Working in partnership with Tomorrow Man we will aim to reconstruct masculinity and re writing what it means ‘to be a man’. Students will have discussions about healthy masculinity and changing views on what it is to be a man. Suited to Year 10+ male students. Providing the opportunity to discuss gender and sexual diversity, the laws of discrimination and how to be a supportive friend. A 10-15 minute run down on the services & programs offered by Kingston Youth Services. This is followed by open question time, where questions may relate to Kingston Youth Services programs, relationships, mental health, alcohol and other drugs, health and general youth issues. Students will receive promotional material from Kingston Youth Services. Suited to all students. Please note: this program can be adapted into an informal lunchtime session with fruit provided. Staff and Volunteers from the Youth Services team will attend your school for the duration of lunchtime offering activities, prizes and raising awareness of the services on offer at Kingston Youth Services. Activities can be tailored to your identified need or to assist in awareness raising days such as: Harmony day, Wear it Purple, World Kindness Day, R U OK? Day, Mental Health Week etc. Please discuss your individual needs with us so we can tailor a specific program for VCE and VCAL students.